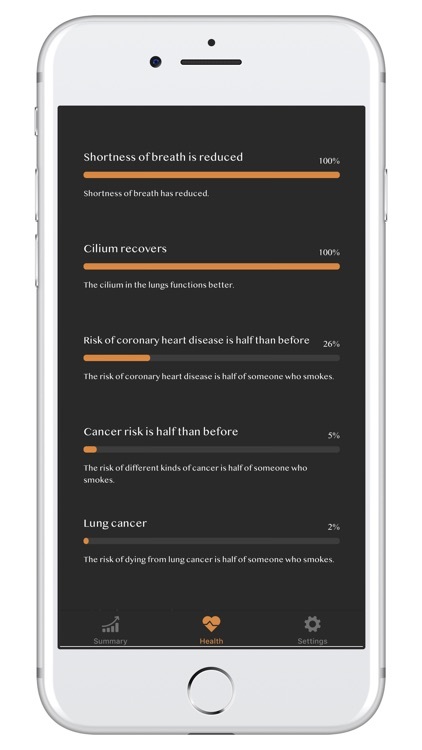 This App helps you to quit smoking. 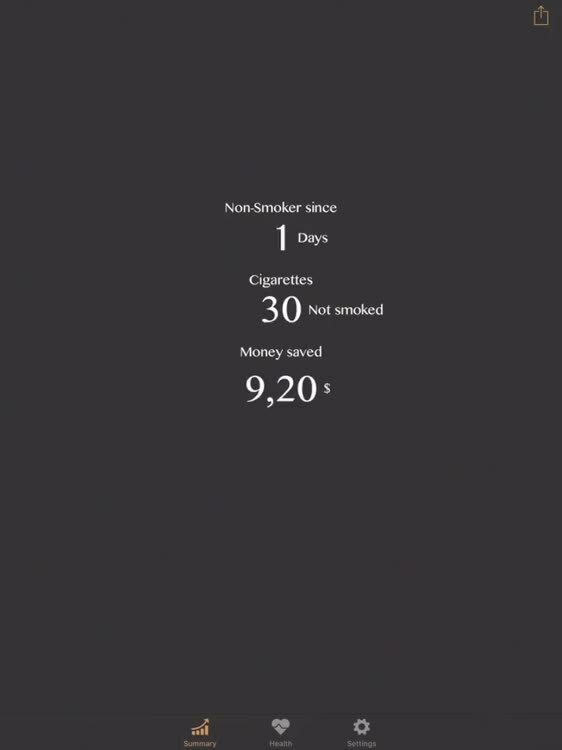 See your effort like days as a non-smoker, not smoked cigarettes and total money saved at a glance. 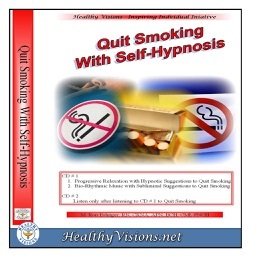 See your health improvements and other body reactions. 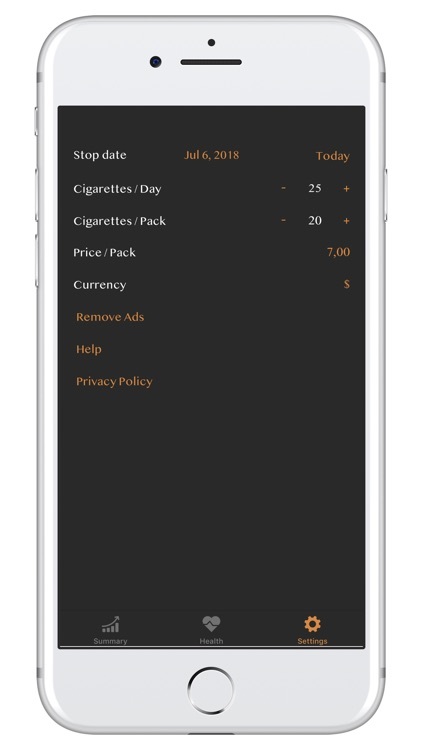 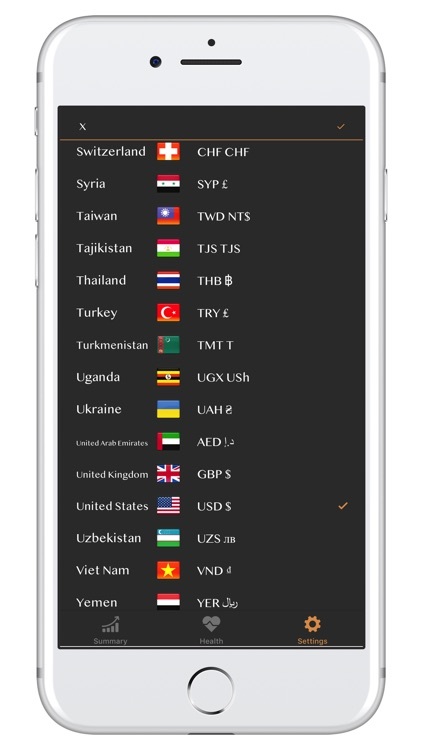 Change parameters like costs for cigarettes at any time. 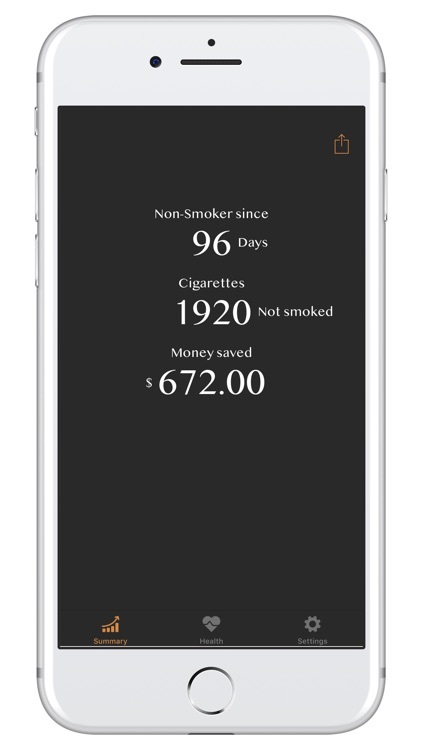 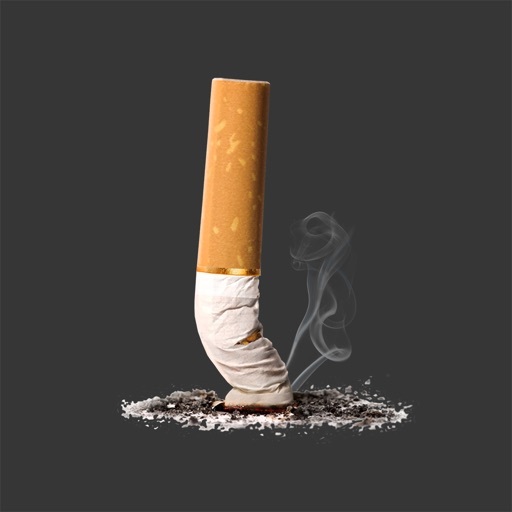 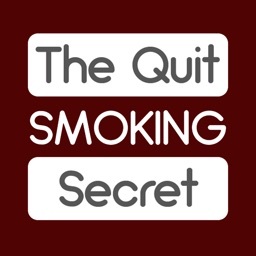 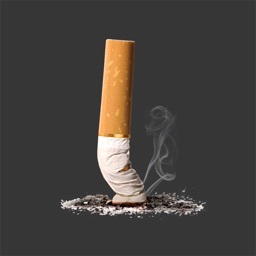 With the help and motivation of this App you can finally become a non-smoker!